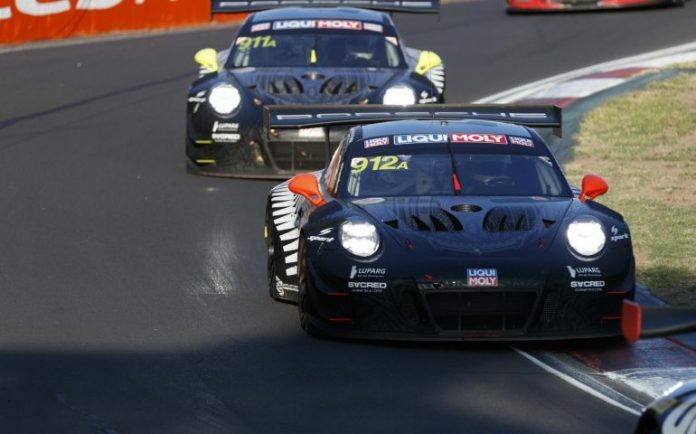 Porsche has retained their win in today’s Bathurst 12 Hour after the race officials cleared Earl Bamber Motorsport driver Matt Campbell of wrongdoing late in the race. 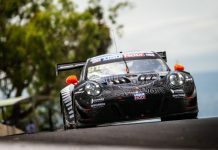 The eventual race winner made contact with then-third placed Chaz Mostert in the final 40 minutes going through the Chase, causing Mostert in the #42 Team Schnitzer entry to go off the road as the #912 passed him. 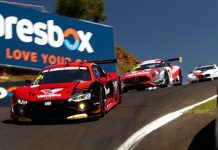 After announcing that the incident would be subject to a post-race investigation, the stewards have cleared Campbell of a breach after he took the flag to win the race. Campbell’s drive in the final stint secured Porsche their first victory in the 12 Hour including the first for the young Australian who has raced in the past six straight. 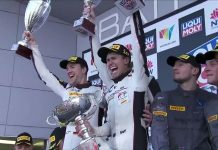 His co-drivers Dirk Werner and Dennis Olsen also make their first appearance on the top step of the Bathurst podium in the first GT3 race for Earl Bamber Motorsport and the last outing of the current-spec Porsche 911 GT3R.